When we say all vehicle types, we really mean it. Mercedes and Saab owners have received full service and repairs to industry leading standards wherever the work needed to be done, when they needed us to be there. Happy clients in North Melbourne who have already experienced the ease and convenience of on site vehicle repair and service work have given us over 19 positive reviews. These are just some of the reasons why we have maintained our excellent service history and kept our customers. 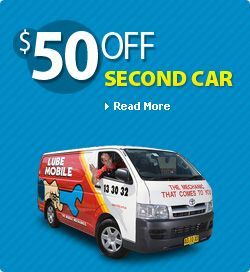 Receive a high quality service on your vehicle at the time and place that suits you with on of the 21 Lubemobile mechanics in North Melbourne. Your mechanic did a amazing job with my old car that had been left with a flat batter for some time. The engine is ticking over perfectly and its a real joy to drive this vehicle again. Thank you. Will was fantastic. I will be requesting him again next time. The car is running beautifully and the air con has never smelt better!!! Let us come to you. The easiest and most convenient way to ensure that you keep your service history up to date and on top of your car repairs is to have everything you need done at home, the office or wherever else you happen to be. 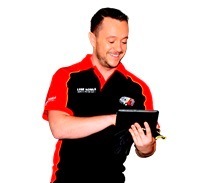 Our mobile mechanics are attending Thomastown, Beveridge, Bundoora and Pascoe Vale. We are everywhere and everywhen you need us to be. Lubemobile is Australia’s #1 fleet of mechanics servicing and repairing vehicles all over the country with over 887 vehicles attended to in your local area alone over the last 3 months. Regular vehicle services and jobs around your area have included Log book servicing. Our specialists have what they need to complete a full service and repair at your chosen destination including tyre replacement and specialty tyre related repairs, removing and fitting water pumps and alternator inspection and replacement. You might have already seen a Lubemobile mechanic around your area. Commonly serviced vehicles in and around your local area have been Holden, Toyota and Ford. Our mechanics arrive on site fully equipped and experienced to service all vehicle types. Recent clients have had their Kia, Subaru and Daewoo completely serviced and repaired at their home address, their workplace and even their holiday destination. Parts are only of the highest quality and spares are sourced quickly and efficiently to ensure that your time is affected as little as possible throughout the repairs. Mechanics have on hand spares and parts like fan belt, control arm and muffler ready.